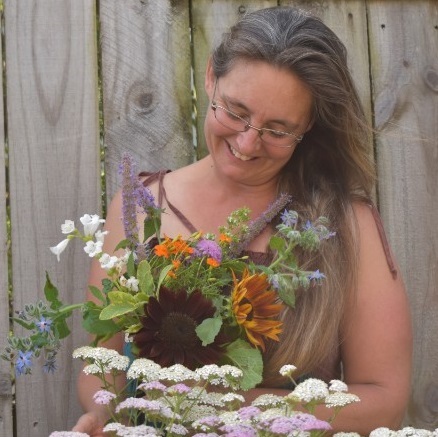 A recent discussion that ran on a Facebook page, and an article I wrote on growing footpath herbs, prompted me to do a post on the different Thymes we have at MeadowSweet. 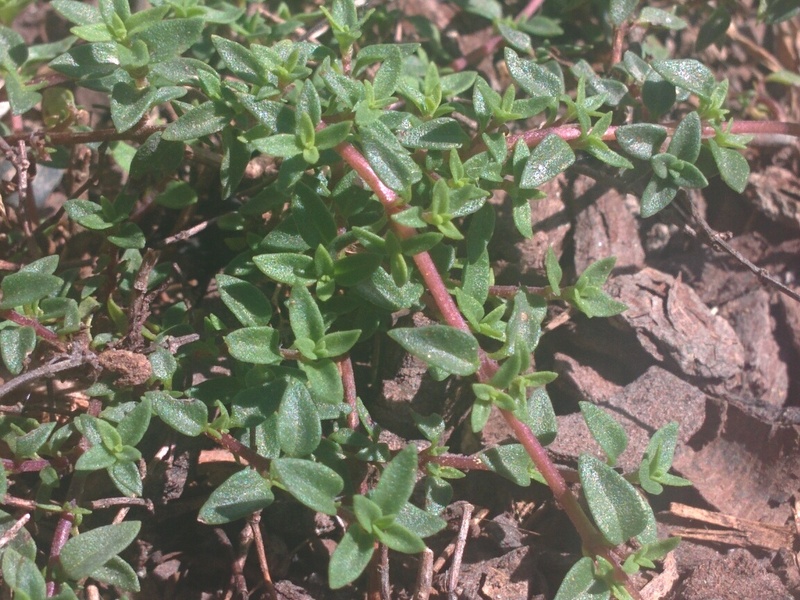 I do so love this common culinary (and medicinal herb), and am slowly but surely building up the selection of thyme varieties in my garden and the nursery. There are, according to Wikipedia, about 350 species of thyme, and within each species you could find a couple of varieties too. 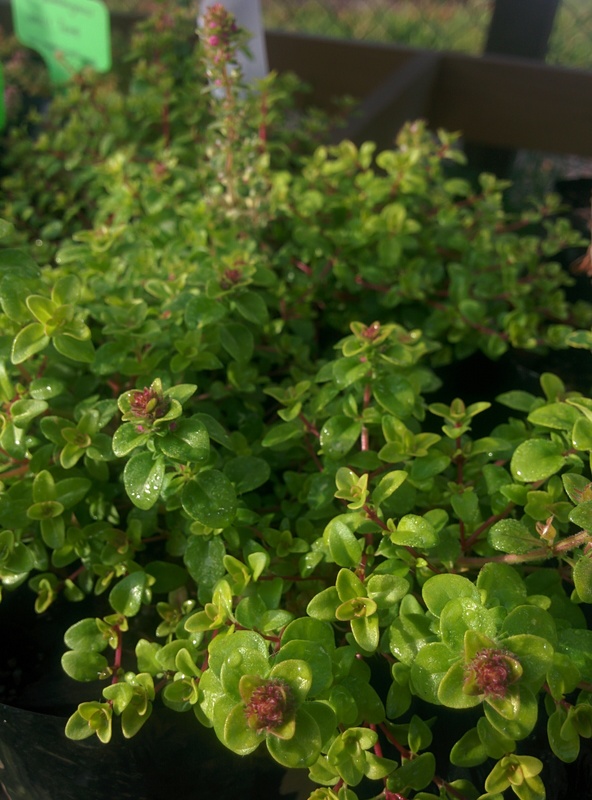 This means there are many, many different thyme plants to choose from – all beautiful and all very aromatic, but with subtle differences in their looks, growing habits, fragrances, tastes and flower colours. 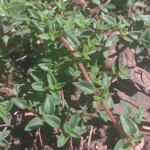 In a pinch, many of these can be substituted for common thyme (Thymus vulgaris) in recipes, and even as a medicine, although personally I always prefer using the species thyme in cooking and for healing. 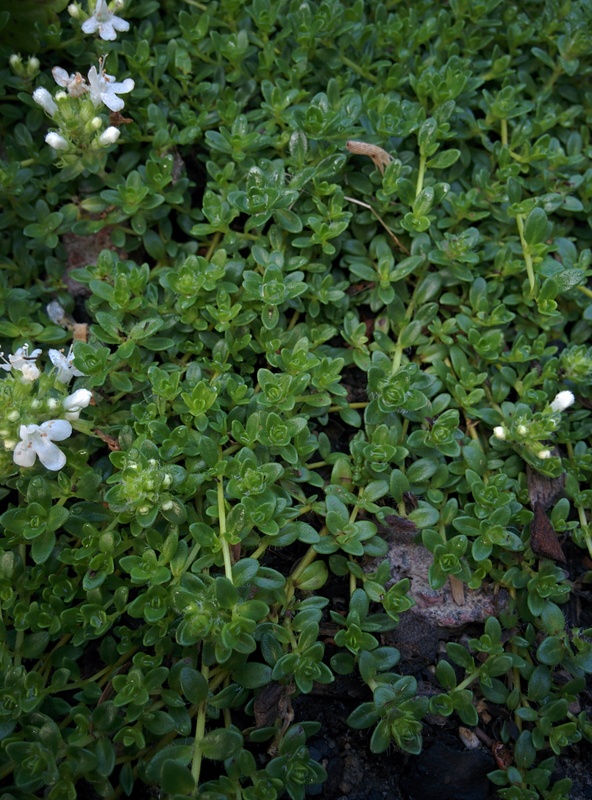 In general thyme can be added dried or fresh to soups and stews, roast meats, and vegetables such as potatoes and zucchini. Medicinally it is a potent antiseptic and can be used as a throat gargle, a cold fighting tea, steeped in honey for coughs or sore throats, and as an anti fungal agent. Thymes generally all loves a warm and full sun position, and must be planted in a free draining soil. 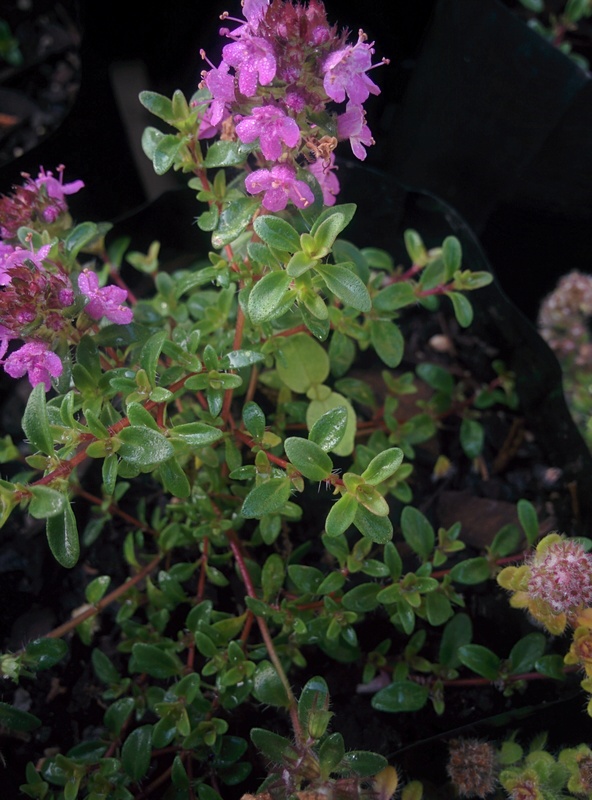 It tolerates a sandier and poorer soil (e.g. rocky/gravelly), and can do okay with only a bit of regular watering. Grow as a companion plant (especially to brassicas and roses), and to encourage bees (and other beneficials) to the garden. Strongly scented and very flavoursome. Deliciously lemon citrus scented. 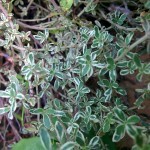 The variegated form is beautiful with fine yellow margins on deep green leaves. A very good taste too. Beautiful dark pink flowers in mid summer. 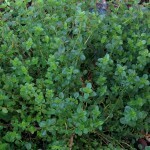 This is also called lemon thyme, although it does not have the distinct citrussy scent of Thymus citriodorus. Fast growing. Thymus praecox subsp. britannicus syn. 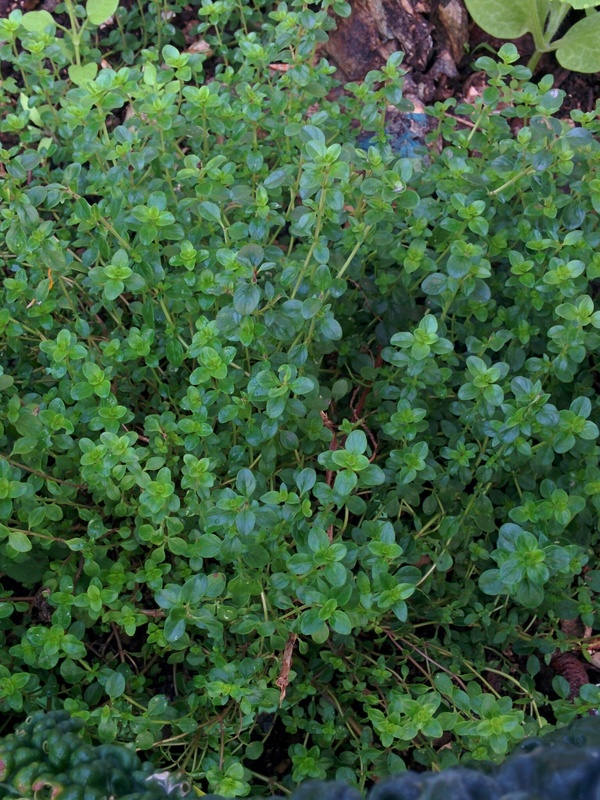 Thymus pseudolanuginosus, previously known as Thymus lanuginosus. 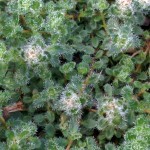 Low growing, mat forming groundcover with a woolly (hairy) appearance. 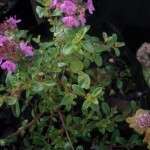 Mostly grown as an ornamental, this is an unusual looking thyme, and makes a great addition to a rock garden, or between stepping stones, or spilling over a garden edge. Stunningly pretty with its silver margined leaves! The pretty light pink-purple flowers in summer adds to its beauty. 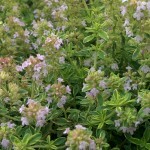 Scented and flavoured as common thyme, but not as strong in my own opinion. 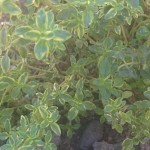 I often use this in conjuction with common thyme. Grows into beautiful golden mounds about 10-20cm(h) x 20cm(w). The leaves are much more golden when they are planted in full sun. It is a striking colour en masse in the garden. NOTE: These are not citrus scented (in my opinion) as most golden thymes are. 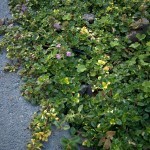 Very low growing, mat forming creeping groundcover. The tiniest of thyme leaves (of all the ones I’ve seen) and it looks quite delicate. The leaves are a beautiful emerald green (hence the name) and bears pretty white flowers in summer. Makes a fast spreading and really pretty groundcover for between stepping stones. 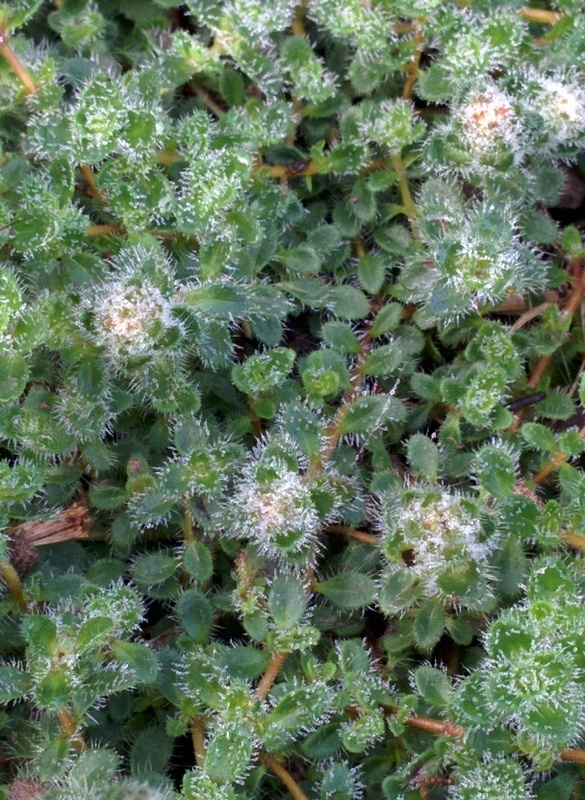 Low growing, mat forming creeping ground cover. The bright gold and green leaves, randomly variegated, are an absolute delight! I love growing this between my stepping stones. It is a fast grower and spreads easily from divisions. 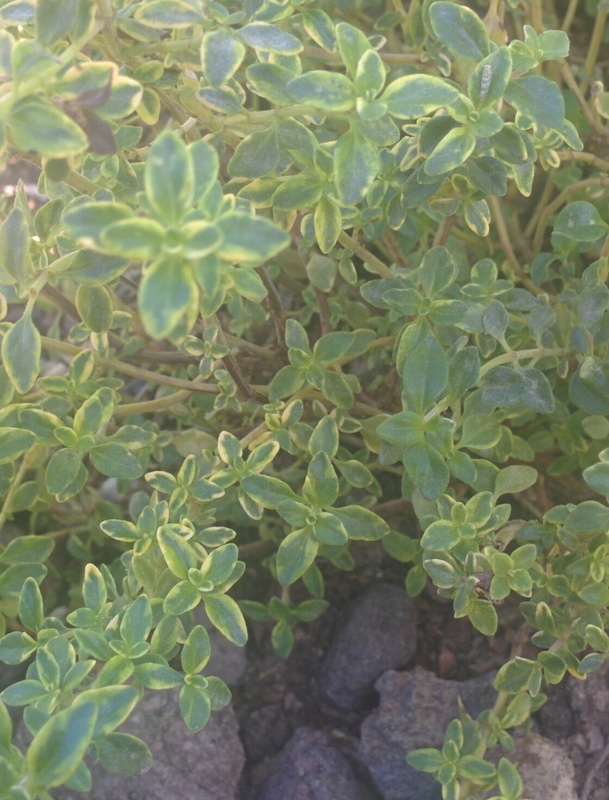 They are supposed to have a slight lemon scent, but compared to Lemon Thyme, in my opinion it is much more plain thyme scented than lemon scented. 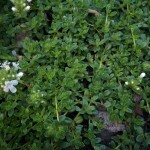 Upright and bushy, not unlinke common thyme or lemon thyme – about 10-25cm(h) x 25cm(w). 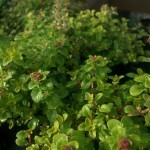 Thyme scented golden edged leaves and light pink flowers in summer. 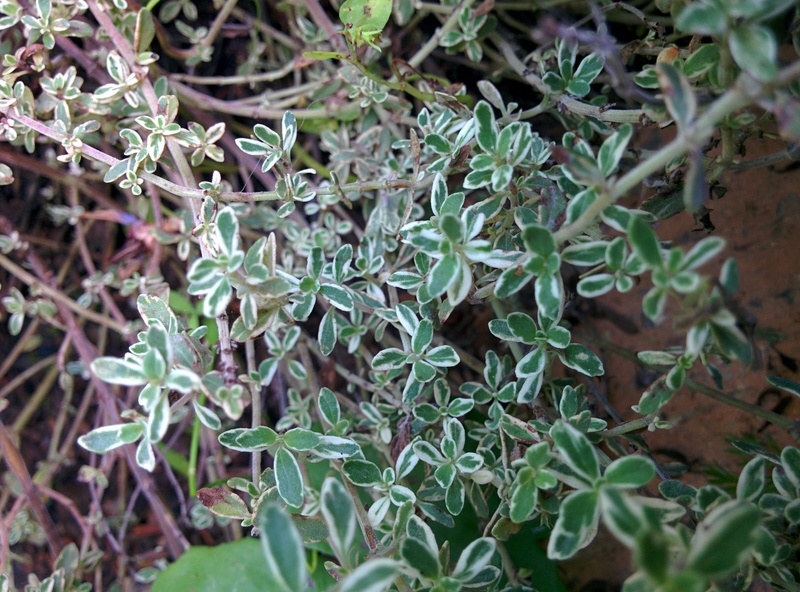 A lovely substitute for common thyme, adds a bit of variegated interest to the landscape. 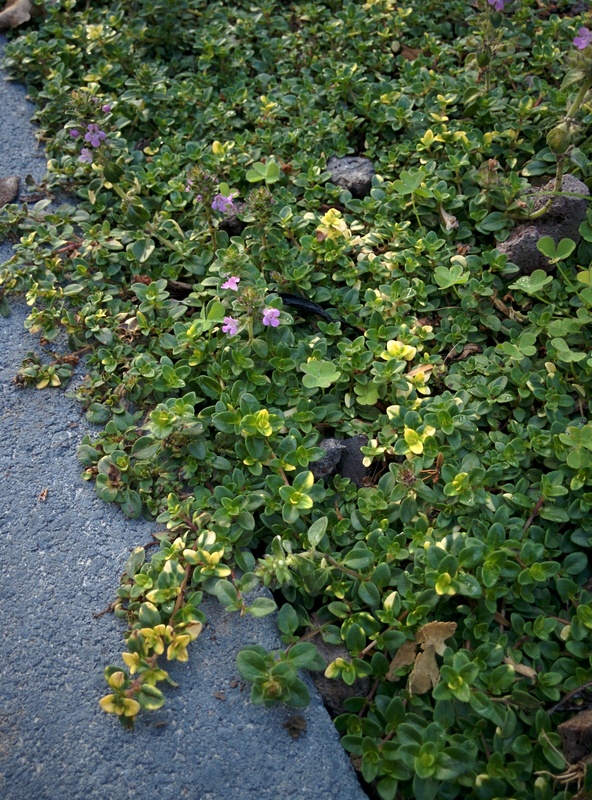 Creeping habit, growing between 10-20cm(h) x 20cm(w). Very strongly and unmistakeably caraway scented! 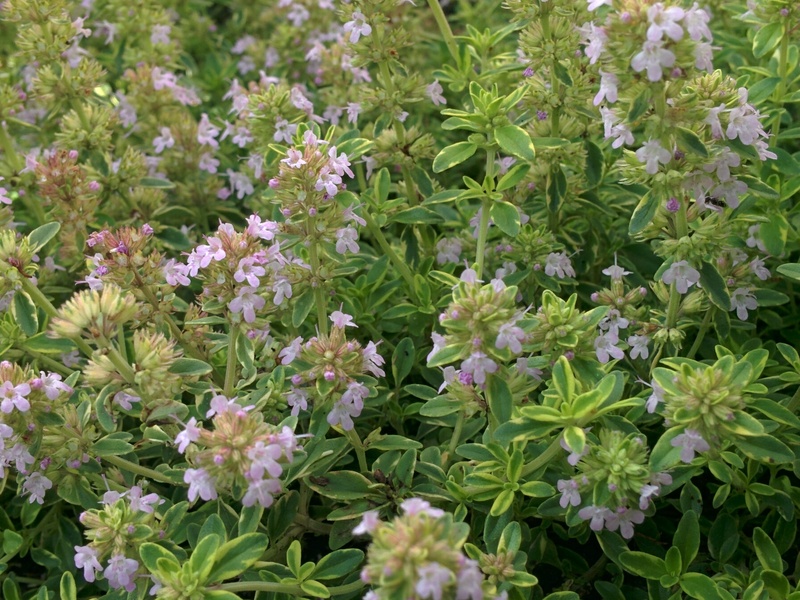 This is a most delightful thyme just because of the great scent and flavour.